Hanne Dalmut is the Director of Partnership Development, leveraging Concordia’s year-round programming, partnership-oriented research, and global network to develop cross-sector collaboration that combats global challenges and achieves positive social impact. As Director, Hanne leads the organizational identification of partnering opportunities based on programming and Concordia Community priorities, and serves to broker, advise, and construct new partnerships. She also manages the P3 Impact Award, an annual award created by Concordia, the University of Virginia Darden School Institute for Business in Society, and the U.S. Department of State Secretary’s Office of Global Partnerships to recognize and honor best practices of public-private partnerships (P3s) that are improving communities and the world in the most impactful ways. Hanne joined Concordia in 2016 as the Director of Social Impact, where she helped to implement the organization’s Campaign Against Labor Trafficking and the Campaign for a Sustainable Global Food Supply. This followed experience with the U.S. Institute of Peace and the PeaceTech Lab, an offshoot of the Institute dedicated to conflict prevention through the innovative application of data, technology, and media. 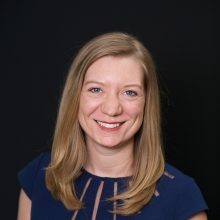 At the Institute, and later the Lab, Hanne worked on strategic initiatives and partnership building within the peacebuilding space, to include supporting the 2014 U.S. National Defense Panel and several of the Institute’s senior working groups. Additional professional experience includes internships at the State Department, the European Parliament, and the Council on Foreign Relations. Hanne earned her Master’s from Georgetown’s School of Foreign Service, where she focused on the nexus of diplomacy and defense in the transatlantic relationship. She holds a Bachelor of Science Degree in Political Science from Truman State University (Kirksville, MO), and has language skills in German, French, and Turkish.